In addition to being able to scale major computational components or store data off-site in the cloud, Amazon Web Services (AWS) allows their users to launch software applications in a matter of minutes. Instead of having to budget for equipment, installing the physical hardware, and then purchasing licenses to deploy applications – AWS lets you pick the application you want to run, and have it deployed and configured in minutes. There are multiple benefits of launching software applications in the cloud including cost-savings with using virtual resources as compared to on-premise hardware, data replication, and access from virtually anywhere. AWS has thousands of applications to choose from via its AWS marketplace. 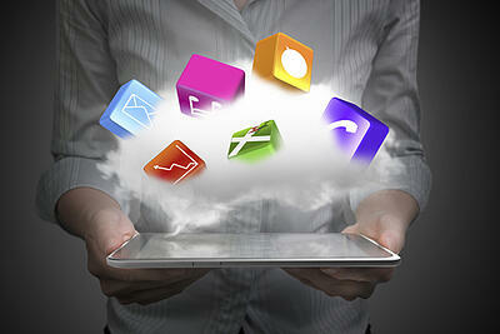 Here are a few different types of applications businesses can launch in the cloud via AWS. Businesses now operate in a world of data. Every day, data points are created and collected to be analyzed by companies to help them make better business decisions. More and more businesses are adopting business intelligence (BI) platforms to improve business and gain a competitive advantage over their rivals. One problem that many businesses face with their BI platforms is the fact that many are hosted in-house and can only be accessed in the office. With AWS, you can launch a BI application in the cloud to allow for remote access and reporting via mobile devices. Through the AWS marketplace, subscribers can choose from software solutions such as Tableau Server or TIBCO Jaspersoft to have cloud-hosted analytics that can be accessed via a web browser or a mobile device. Launching entire server operating systems on-premise is an involved, time consuming activity. However, in the cloud, server operating systems can be deployed in a few clicks of a mouse. AWS has multiple options for server operating systems. Users can choose from a variety of Windows Server instances (although we do recommend staying as far away from Windows Server 2003 as possible). Or if Linux is more your language, AWS users can launch Linux platforms such as Ubuntu, CentOS, Debian, and even Amazon's own proprietary Amazon Linux. Does your business specialize in digital media? Do you stream video and audio content to your customers or to your clients? Instead of having to store terabytes of media data on-site and managing network traffic to your internal servers, you can host and stream media in the cloud through AWS. In the AWS marketplace you can choose from applications such as Adobe Media Server or the Wowza Streaming Engine to host, stream, and manage your content. AWS makes it easy for you to share content over the internet and to stream to mobile devices. There are many applications available for an array of tasks and responsibilities in the Amazon Web Services marketplace. Not sure what software your business should launch to get the most out of their AWS subscription(s)? Contact us today to schedule an Amazon Web Services consultation.